Cool dry days when the ground is not too wet are good times to dig over the soil and fork through removing any perennial weeds, making sure all roots are removed to prevent re-growth. 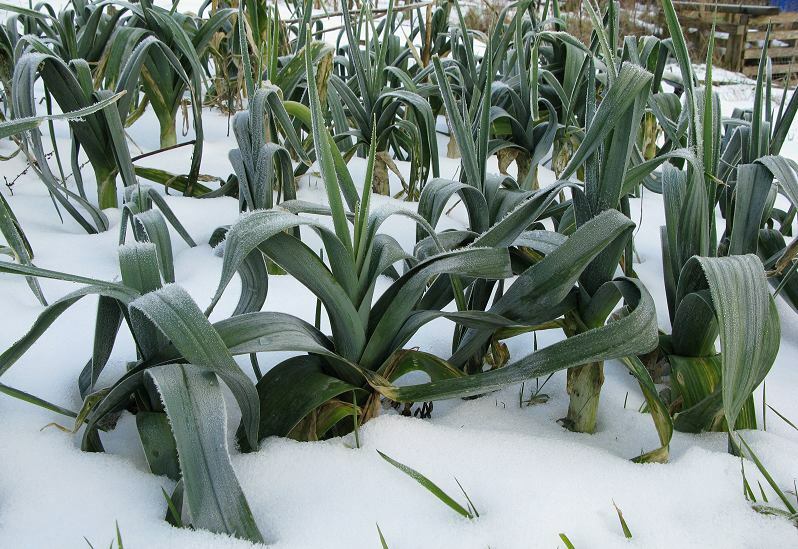 Check the winter vegetables: Make sure if hard frosts are predicted, you take enough leeks to eat as otherwise they will be too frozen in the ground to dig out. Winter cabbage and sprouts: clean up any dead leaves and compost. Check that there is no pigeon damage to the leaves, if there is put a net over, or try using a deterrent such as old CD's on string suspended above the vegetables which can frighten birds off. Kale seems immune to pigeon attack. Fruit bushes can be pruned; currant bushes need one third of their growth taking out. 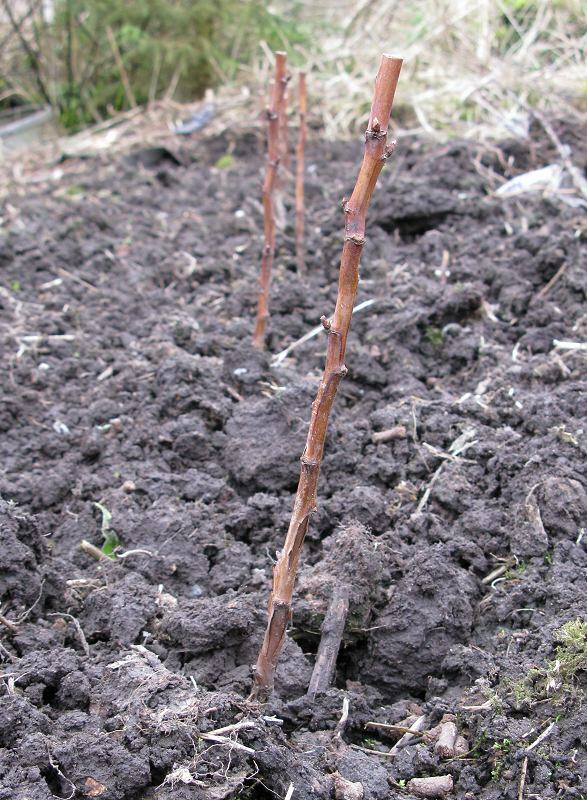 Raspberry canes; the old wood needs removing and the new season's growth tying in. Autumn raspberries need cutting right back as they fruit on the new seasons growth. Sort out the pruned wood and any pieces that are about 3ft tall with stout branches save for using as pea stick support. This is a good time to plant fruit. Bare rooted stock which is cheaper than container grown plants can be heeled in, photo right is Autumn raspberry canes. 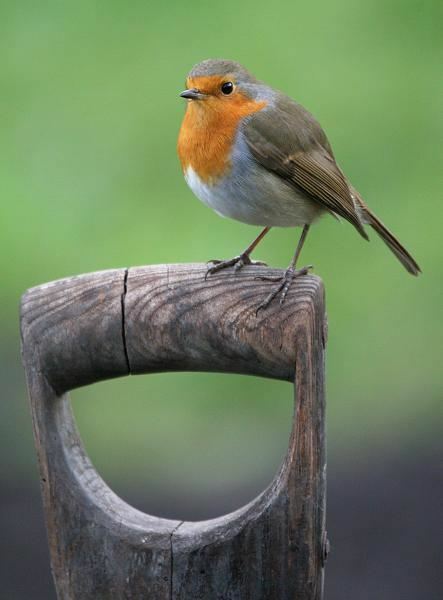 If you have not done already, now is a good time to order seeds. 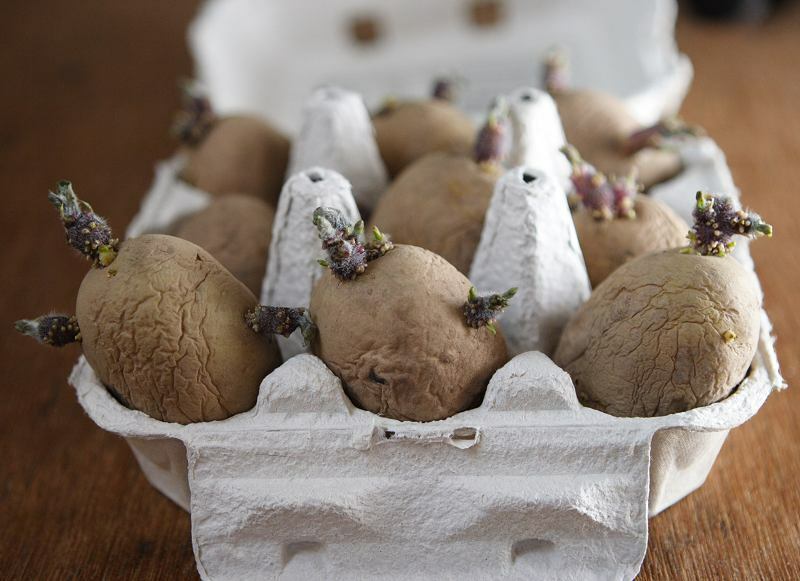 Seed potatoes can be put in egg boxes, the "eyes" uppermost in a cool place near to a north facing window to chit; the aim is to have small shoots growing. 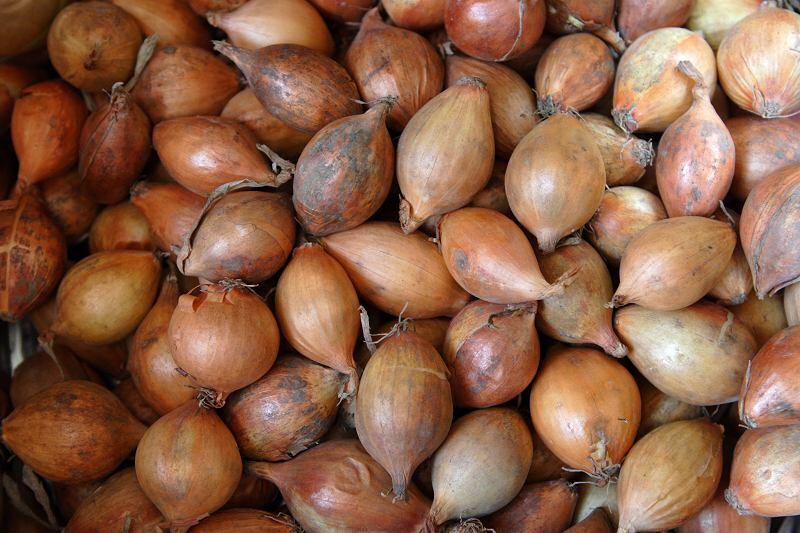 Onion setts can be laid out on a tray in a cool light frost free room.